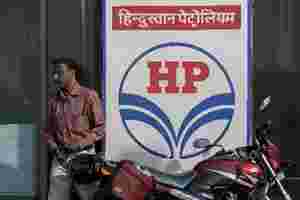 Kolkata: State-owned GAIL (India) Ltd and Hindustan Petroleum Corp. Ltd (HPCL) on Thursday signed a pact with the West Bengal government to form a joint venture with Greater Calcutta Gas Supply Corp. Ltd (GCGSCL) for supplying coalbed methane gas in the state. The natural gas will be used by industry, automobiles and households. “The SPV is looking to secure coalbed methane from Great Eastern Energy Corp. Ltd and Essar Oil Ltd, which extract the gas from coalfields in Asansol and Raniganj," said Mukhopadhyay. Formal discussions with these two companies have already begun, he added. The SPV will invest ₹ 2,000 crore over the next two-three years to build a gas pipeline from the coalfields of Asansol and Raniganj to Kolkata, according to J. Wason, GAIL’s executive director (marketing). Around 70% of the amount will be raised in the form of debt, he said, adding that the SPV aims to supply 10 million standard cu. m of gas a day in the state. Of this, 70% will go to industrial consumers, 5% to households, and the remaining 25% will be used by automobiles, said A. Viswanadha, general manager, HPCL. The SPV will scale up GCGSCL’s underground city gas distribution network to supply gas to homes in Kolkata. GCGSCL currently supplies nearly 150,000 standard cu. m of gas a day to Kolkata.